"The pARTy 2019," in which the Arts Alliance honors those who have made significant contributions to the arts, is coming up on February 11th. This year's recepients of the Lifetime Achievement Medal are the musical, husband-and-wife duo, William Bolcom and Joan Morris. WEMU's David Fair and Arts Alliance President and CEO Deb Polich sat down with Bolcom and Morris to discuss their decades-long career in this week's "creative:impact." Creative industries in Washtenaw County add hundreds of millions of dollars to the local economy. In the weeks and months to come, 89.1 WEMU's David Fair and co-host Deb Polich, the President and CEO of The Arts Alliance, explore the myriad of contributors that make up the creative sector in Washtenaw County. Awarded annually, The Arts Alliance Medals for Arts, Sciences & Humanities honor and celebrate the extraordinary contributions and accomplishments of artists, creatives, individuals who live, work or attend school in Washtenaw County, Michigan. Medal recipients are celebrated for exemplary achievements in advancing the arts, sciences and humanities and increasing public awareness of the arts + creative industries in the greater Ann Arbor area and beyond. Medalists make their mark through their leadership, philanthropy and accomplishments setting the standard for excellence and serving as the example for others to follow. Together, they are the duo Bolcom & Morris, recording 25 albums and delighting audiences across the world performing songs from the ragtime era to the end of the 20th century. They are known as generous creative collaborators and, as faculty at the University of Michigan’s School of Music, Theatre & Dance, have mentored the next generation of musicians and performers. William (Bill) Bolcom is a composer of concertos, sonatas, operas, symphonies, cabaret songs and much more. National Medal of the Arts, Pulitzer Prize, Grammy Award, Composer of the Year are but a few of the accolades presented to him over the course of his career. He served on the faculty of the University of Michigan’s School of Music, Theatre & Dance as the Ross Lee Finney Distinguished University Professor of Composition for 35 years. Joan Morris is a chanteuse, a mezzo-soprano who has performed on stages and in cabarets across the world as she “projects not just a song, but the character singing it, and gives that character her own irresistibly funny and winning personality,” according to the Chicago Tribune. Her book Let Me Sing and I’m Happy: The Memoir and Handbook of a Singing Actress has just been released by Pendragon Press. Morris writes “For forty years I’ve been privileged to sing the greatest songs from our American musical theater history – Kern, Berlin, Gershwin, Porter, and Rodgers and Hart. I was fortunate to find a musical partner, William Bolcom, who felt the same way, who helped me illuminate and bring to life the history and drama in each song. Our approach gained us entry into the serious-music concert world. It helped us, in Schiller’s words, to ‘…unite that which fashion had sternly parted.’” Morris taught voice and musical theater at the University of Michigan from 1981 – 2009. The Outstanding Service Medal recognizes outstanding leadership and significant contributions made to further the fields of the arts, sciences and humanities in Washtenaw County, statewide, nationally and/or internationally. Aaron P. and Afa S. Dworkin are an arts power couple. They have built an international reputation as arts-focused social entrepreneurs, including as pioneering leaders advocating for diversity, equity and inclusion in the performing arts and in arts leadership. Afa S. Dworkin is a cross-sector strategist driving national programming that promotes diversity in classical music. She currently serves as president and artistic director of the Sphinx Organization, the nation’s leading organization transforming lives through the power of diversity in the arts. She is one of Musical America’s Top 30 Influencers and Detroit Crain’s 40 Under 40. Aaron P. Dworkin is the founder of The Sphinx Organization, is a 2005 MacArthur Fellow, a member of National Council on the Arts and the former dean of the University of Michigan’s School of Music, Theatre & Dance. The Dworkins received the Kennedy Center’s “Citizen Artist Award” recognizing leaders who present and produce the arts in their communities and deepen the effect of the arts and arts education in a demonstrated, transformational way at the local, state or national level. The Philanthropic Excellence Medal recognizes those giving of their time, talents and treasures to the arts science and humanities in Washtenaw County and beyond. Bill and Mary Kinley’s legacy as supporters of the arts is long, runs deep and crosses through many Washtenaw County communities. They have given generously, served on boards, mentored staff, volunteered and worked in the trenches. The short list of organizations they have impacted includes: the Riverside Art Center; The Ark; Ann Arbor Hands-on Museum; Ann Arbor Street Art Fair, The Original; and the Ann Arbor Summer Festival, to name a few. Even the work of the business owned and operated by Bill, Praxis Properties (formerly Phoenix Construction), crosses into the creative industries touching historic preservation and restoration. The example of community leadership set by the Kinleys is influencing the next generation as their children are already following in their path. Named 2007 Composer of the Year by Musical America and honored with a Grammy Award [Best Classical Contemporary Composition] for his ground-breaking setting of Blake’s Songs of Innocence and of Experience [the album received 4 Grammys], William Bolcom is a composer of cabaret songs, concertos, sonatas, operas, symphonies and much more. He was awarded the 1988 Pulitzer Prize in Music for his 12 New Etudes for piano. With his wife, mezzo-soprano Joan Morris, he has concertized for over 40 years throughout the United States, Canada and abroad. In addition to their live performances, Bolcom and Morris have recorded 25 albums of music drawn from the American Popular Songbook. Their first album, After the Ball, garnered a Grammy nomination for Joan Morris. Their recent recordings include: two albums of songs by lyricist E. Y. “Yip” Harburg and Gus Kahn; Bolcom’s complete Cabaret Songs, written with lyricist Arnold Weinstein; Someone Talked: Memories of World War II with tenor Robert White and narrator Hazen Schumacher; and Autumn Leaves, a collection of 21 popular cabaret songs. In the spring of 2007, Bolcom was feted in Minneapolis-St. Paul, Minnesota, with a two and a half-week festival of his music, including master classes, recitals and concerts of his vocal, organ and chamber music. Titled Illuminating Bolcom, the festival was highlighted by two performances of Songs of Innocence and of Experience accompanied by animated projections of Blake's illuminations. 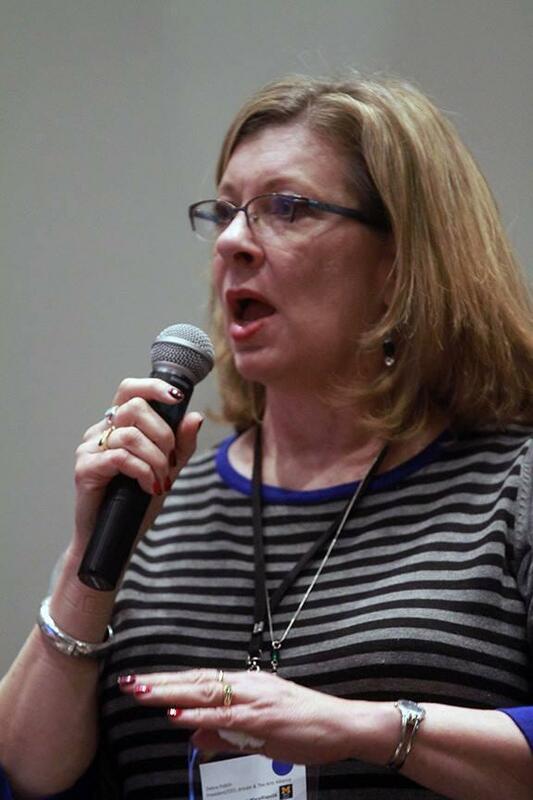 Recent productions of A View from the Bridge have been mounted by Washington National Opera, the University of Texas/Austin, and the Rome Opera. His first opera, McTeague, was produced in 2016 at the Landestheater in Linz, Austria and performed 11 times. The recording of Prometheus [text by Lord Byron] with pianist Jeffrey Biegel, the Pacific Symphony and Pacific Chorale and Canciones de Lorca with tenor René Barbera, both conducted by Carl St. Clair, is now available on Naxos. His Eighth Symphony, premiered in February 2008 by the Boston Symphony Orchestra and Chorus, conducted by James Levine, is available for downloading on the BSO website. His next opera, Dinner at 8, will be premiered in March 2017 by the Minnesota Opera. Bolcom joined the faculty of the University of Michigan's School of Music in 1973, was named the Ross Lee Finney Distinguished University professor of composition in 1994, and retired in 2008 after 35 years. He has recorded for Advance, Jazzology, Musical Heritage, Nonesuch, Vox, Omega, Naxos, Centaur and Albany, among many others. Born in Portland, Oregon, mezzo-soprano Joan Morris attended Gonzaga University in Spokane prior to her scholarship studies at the American Academy of Dramatic Arts in New York. She continued speech and voice studies with Clifford Jackson and Frederica Schmitz-Svevo while appearing in off-Broadway and road productions and with harpist Jay Miller at the Cafe Carlyle, the Waldorf-Astoria’s Peacock Alley, and other Manhattan night spots. From 1981-2009, Ms. Morris taught a cabaret class at the School of Music, University of Michigan. In April 1998, she produced a new musical there, Mina and Colossus, written by the young composer Sam Davis and based on the life of poet Mina Loy. In April 2003, Ms. Morris wrote, produced, co-directed, and starred in a musical revue, The Police Gazette, based on materials housed in the Clements Library at the U of M. In December 2005, she wrote, produced, directed, and had a featured role in Barnum’s Nightingale, based on Jenny Lind’s concert tour of America in 1850 sponsored by P. T. Barnum. The latter two entertainments were presented at the Clements Library where Ms. Morris was Adjunct Curator. She retired from the University of Michigan in December 2009. In April 2004, Ms. Morris was a soloist in the performance of Bolcom’s Songs of Innocence and of Experience (texts by William Blake), which celebrated the reopening of the newly-renovated Hill Auditorium in Ann Arbor, Michigan. The concert, which combined 450 orchestra and chorus members from the University of Michigan School of Music and community with professional soloists, was conducted by Leonard Slatkin and took place almost 20 years to the day after its 1984 U.S. premiere. The Naxos recording of this event went on to win four Grammy Awards, garnering recognition for her as Soloist on the album. In 1984, she sang in the world premiere of Bolcom’s Songs of Innocence and of Experience in Stuttgart and the U.S. premiere in Ann Arbor. She has also performed Songs with the BBC Symphony Orchestra in London's Royal Festival Hall, which was broadcast live over BBC Radio 3 (1996), and in Costa Mesa with the Pacific Symphony Orchestra (2003). In 1979 she played the role of Polly in the Guthrie Theater’s production of The Beggar’s Opera (with music by Darius Milhaud and William Bolcom). In the 1987 premiere of Bolcom’s Fourth Symphony, she sang the lyrics of Theodore Roethke's poem "The Rose" with the Saint Louis Symphony Orchestra conducted by Leonard Slatkin; the 1988 recording on New World Records was subsequently nominated for a Grammy. She repeated the work with The Seattle Symphony Orchestra in May 1996. In April 1990, she was featured in the world premiere of the Weinstein/Bolcom musical theater work, Casino Paradise, and can be heard on the cast album issued by Koch Classics. She repeated her part as The Nurse for the May 2004 revival at The Prince Music Theater in Philadelphia and again as part of the American Songbook Series in the Allen Room of Jazz at Lincoln Center in February 2005. In January 2007, she narrated Walton's "Facade Suite" with the Boston Symphony Chamber Players. 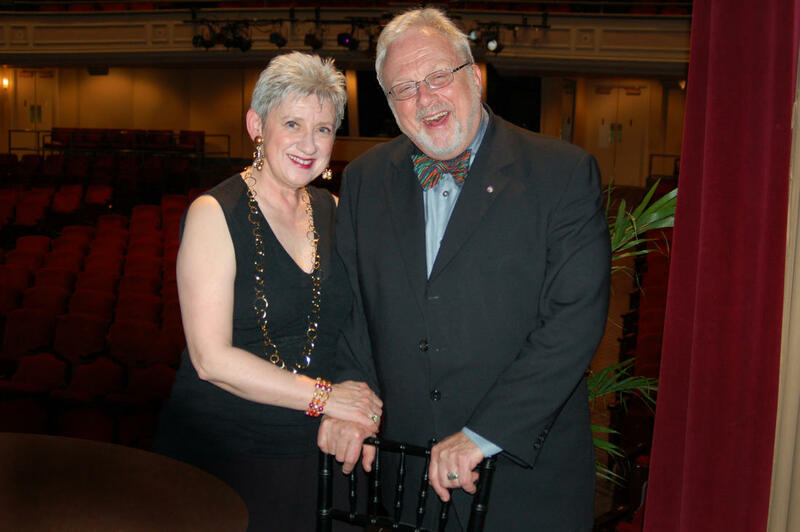 On their travels throughout the United States, Canada and abroad, Joan Morris and William Bolcom frequently give master classes focusing on "classic American popular song." Recent residencies have been at College Conservatory of Music in Cincinnati, Northwestern University, Rice University (Houston, TX), SongFest (Los Angeles, CA), and the University of Wisconsin/Madison. Occasionally, they can be heard underlying TV documentaries featuring the American Popular Song era. Every year, the Arts Alliance hosts a reception to honor those who invest in and contribute to the arts scene in Washtenaw County and around the world. In this week's "creative:impact," WEMU's David Fair and Arts Alliance CEO Deb Polich talk about this event, which is best known as "The pARTy!" This week, Art and Soul focuses on the art of well being. 89.1 WEMU’s Lisa Barry is joined by co-owner of Zingerman’s and author Ari Weinzweig to talk about his latest pamphlet that talks about looking at life from an artist’s perspective. There's only one more week until a certain, jolly old elf and his reindeer come to your town. But, he still found time in his busy schedule for a very special interview. Santa Claus himself talks with WEMU's David Fair and Arts Alliance CEO Deb Polich for this week's "creative:impact."